* Maintain blood sugar levels within the range advised for you. * Encourage good blood circulation by regular walking, wearing good walking shoes. * Choose footwear which is appropriate for your activity. * Make sure to have your feet measured properly by a trained fitter. * Check your shoes regularly for excess wear on the outside and for any rough spots on the inner lining. * Wash your feet daily in warm (not hot) water, using a mild soap, and then dry thoroughly with a gentle blotting action. * Use a moisturiser daily to stop heels cracking and to help keep the skin supple. * Inspect feet daily for any sign of heat, redness, swelling or pain, using a mirror if necessary. Seek immediate help from a Podiatrist or Doctor. * Blisters, cuts and scratches should be cleansed at once with clean water or saline solution. Cover with a sterile dressing and seek advice from a Podiatrist or Doctor as soon as possible. * “Corn cures” and medicated pads are caustic-based and can cause catastrophic foot problems. See your podiatrist for treatment of corns. * Avoid extremes of heat and cold such as hot water bottles, radiators, hot sand/pathways and hot bath water. It is important to discuss your mobility and footcare problems with your Podiatrist. Your Podiatrist can advise which service or professional support is most appropriate to your needs. The Podiatrist, after assessing your foot function may recommend orthotics or insoles to help relieve foot pain and discomfort. Children’s sports used to mean cricket, basketball, or football. That’s changed. Soccer has leapt onto the youth sports scene, as have wrestling, tennis, hockey and even skateboarding. 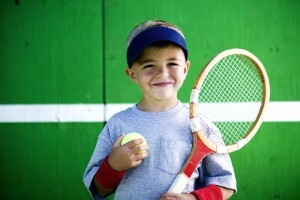 The starting age for training in individual sports such as swimming, skating, athletics, and gymnastics grows younger every year. Early training should emphasise proper technique and basic movement skills in all sports, especially in children younger than 10. 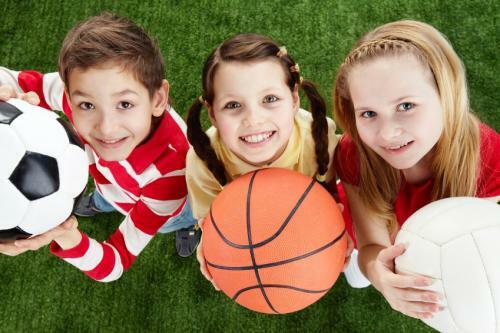 Podiatry physicians, specialists in treating the lower extremities, say children who concentrate on a single sport at too young an age are more likely to develop injuries of the foot and ankle. Save specialisation in sports for the late teens, they advise. Podiatrist physicians agree it’s often better to buy a child two $50 pairs of shoes than a single $100 pair, so the shoes can be rotated, to avoid rapid wear deterioration. Excessive wearing of the out-sole, loss of shoe counter support, or wearing out in the mid-sole indicate it’s time to replace the shoes. Because a child’s feet are constantly growing, it is important to allow at least one fingers width from the end of the longest toe when buying shoes. Remember, proper fit is very important. You can have the best shoe in the world, but if it doesn’t fit right, it doesn’t do its job. Rubber cleats are not usually necessary for children under 10, though they pose little potential harm for them. They are most useful on a soft-field sport such as soccer. Podiatrists recommend molded shoe rubber cleats rather than the screw-on variety. Metal baseball spikes can be dangerous and should not be used until the teenage years. Podiatrists warn repetitive overuse can cause inflammation of the growth plates. They advise parents to promote diverse physical activities for their children rather than one sport. This is especially important with individual sports such as running, gymnastics, and tennis, which require long hours of practice. Ankle Sprains. In older children, stretched or torn ligaments in the ankle, known as sprains, are more common than fractures. A sprain may cause extensive swelling around the ankle just like a fracture. Immediate treatment is crucial to quick healing. A podiatrist can provide treatment as well as recommend balancing and strengthening exercises to restore coordination quickly. Fractures. Fractures from overuse in child-athletes are commonly seen in podiatric medical offices. Growth plates are particularly susceptible to injuries, but mid-shaft fractures of the bone also occur. If a fracture is not severe, rest and immobilization may be the best treatment. More complicated injuries may require casting or surgical correction. If swelling and pain persist, see a podiatrist. Shin splints and stress fractures. Shin splints are micro-tears or inflammation of the anterior leg muscles, as are Achilles tendon pulls in the posterior region of the leg. Again, rest is most important in healing these injuries. If pain is persistent, see a podiatrist, who can recommend strengthening exercises, certain shoes, or, if indicated, prescribe custom-made shoe inserts known as orthotics.